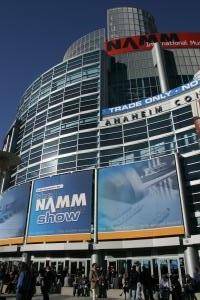 NAMM Show 2015 - The Follow Up! I've added a bunch of pictures and some feedback about the show. A few others have also chimed in. If you were at the 2015 show, please post your observations of the show, and consider adding some pictures. SRFA - Help Save the Music! Kathy and I belong to the Saco River Festival Association (SRFA) a non-profit organization dedicated to bringing live music to the area, and to getting children interested in and excited about music. 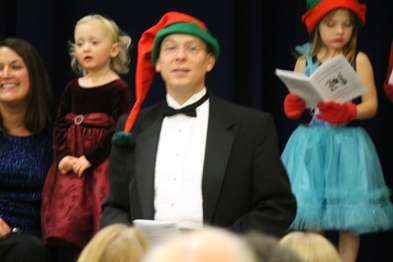 The SRFA sponsors a series of free (donations gladly accepted) concerts at the bandstand in Cornish Maine, we also sponsor the Portland Community Chorus holiday event at the local schools, help the music departments procure instruments, send kids to summer band camp, and each year, the Festival Association sends every third grader in the Sacopee Valley area to the Portland Symphony. Kathy and I are really trying to find a way to attend this one, thinking perhaps we could spend a couple of days in Switzerland and then hop over to Italy for a couple of days. WHAT: 10th Anniversary Season of PianoForte Foundation free concert broadcasted live on 98.7 WFMT, featuring pianist Weiwen Ma. WHAT: PianoForte Foundation's 10th Anniversary Concert Series featuring Inna Faliks. WHO: Since her debut with the Chicago Symphony Orchestra, Ukrainian-born Inna Faliks has performed in Carnegie Hall, the Metropolitan Museum of Art, New York, the Salle Cortot, Paris, the Orchestra Hall, Chicago, the Tchaikovsky Hall, Moscow, and more. She toured extensively throughout France, Switzerland, Ukraine, China, Israel, Estonia, Japan, Russia, Italy and the United States. WHAT: PianoForte Foundation welcomes to their new Composer-In-The Loft series, American composer Ethan Wickman, and the acclaimed Avalon String Quartet. The program that includes Tchaikovsky's String Quartet No. 1 in D and a new quartet by Ethan Wickman. This new work entitled "Namaste" was commissioned for the Avalon String Quartet by Brigham Young University in 2009.
WHO: Ethan Wickman studied composition as a Fulbright Fellow in Madrid Spain. He has won the Jacob Druckman Prize (Aspen Music Festival,) the Harvey Phillips Award (International Tuba Euphonium Association,) First Place at the Utah Arts Festival Chamber Commission Competition, and was a finalist at the ASCAP Rudolf Nissim Orchestral Composition Competition. Upcoming Concerts at Bates College in Lewiston, Maine. I've decided to create a sub-forum under the Piano Forum specifically to have a place for posts about members getting a new (to them) piano. My Tuning Adventure Some days are more interesting than others, either because of the piano, the people, or the challenge of getting to the tuning. Joyce Fessenden, 83, enjoys playing piano in front of local audiences and has no plans to stop. HALLOWELL, ME - Joyce Fessenden has been playing piano in public for 70 years. At the age of 83, she still plays four or five times a week at area nursing homes and assisted living centers. She has no thought of quitting. "Music has always been a very important part of my life," Fessenden said. "I'm very grateful for that. I don't plan to quit playing." On a recent Tuesday, Fessenden played old favorites on the piano at the William S. Cohen Community Center in Hallowell. Her music blended in and enhanced the boisterous sound of lunchtime diners. "I love it here because the food is good and the people are kind," Fessenden said. 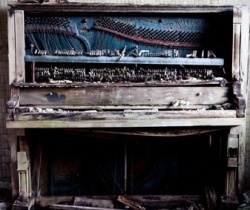 "If somebody says "play the piano," the only thing I ask is where and when." 78,000+ Forums Members, Over 2 Million Posts, and always growing!